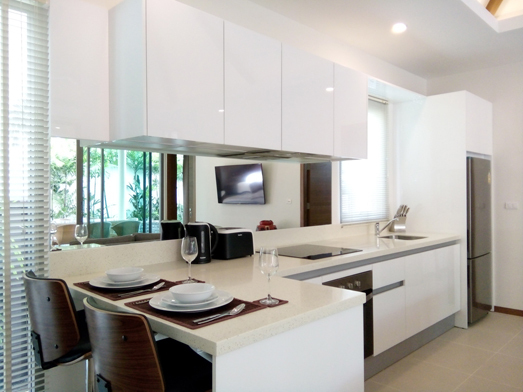 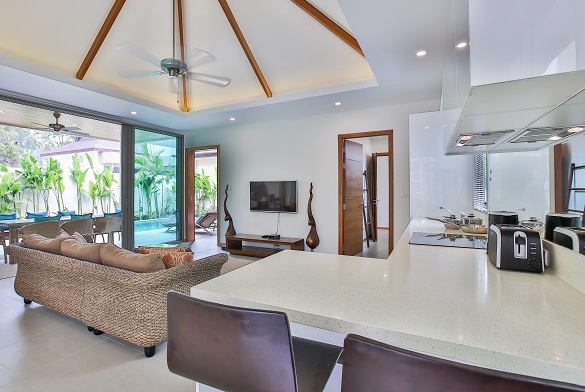 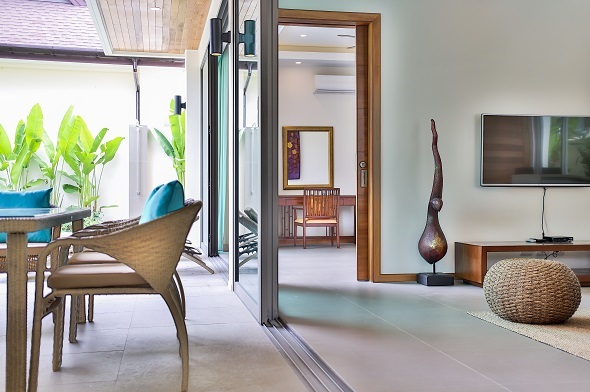 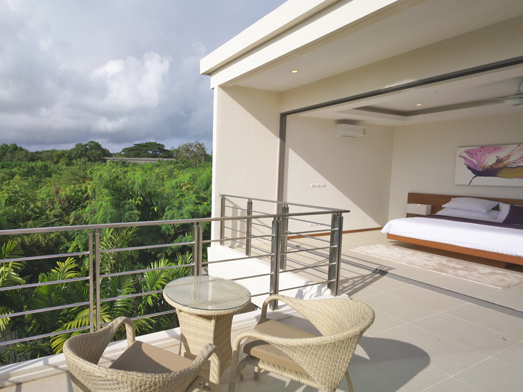 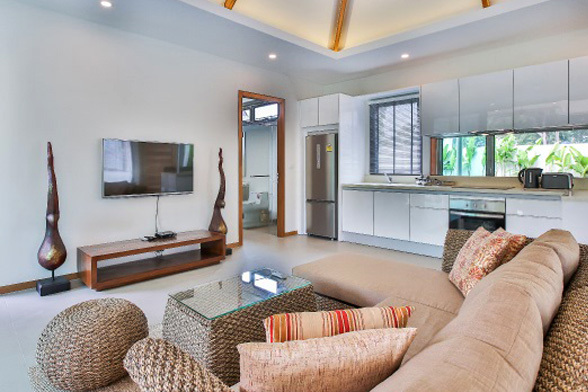 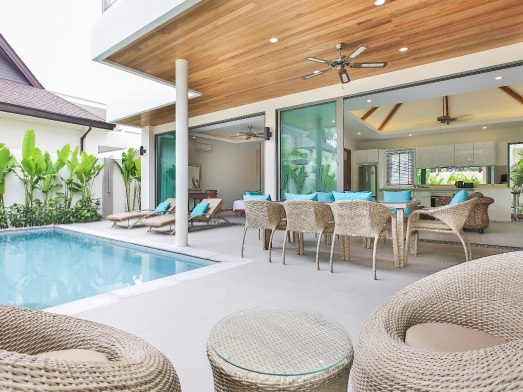 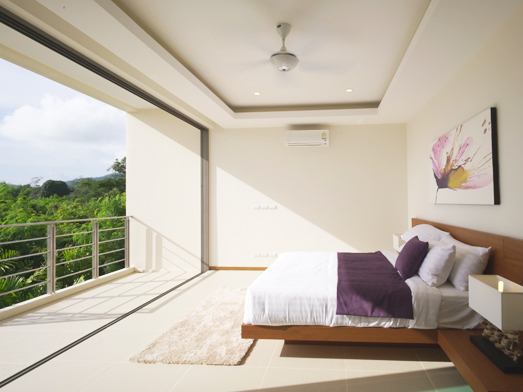 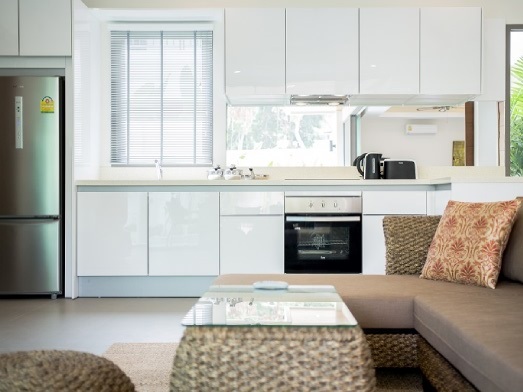 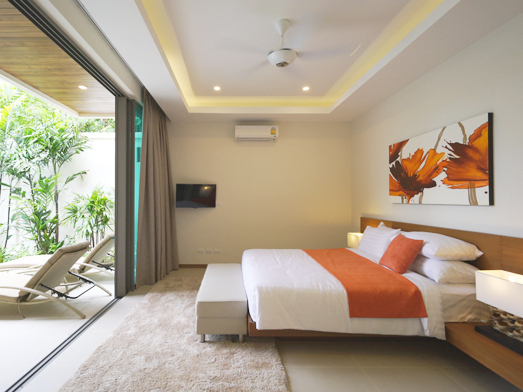 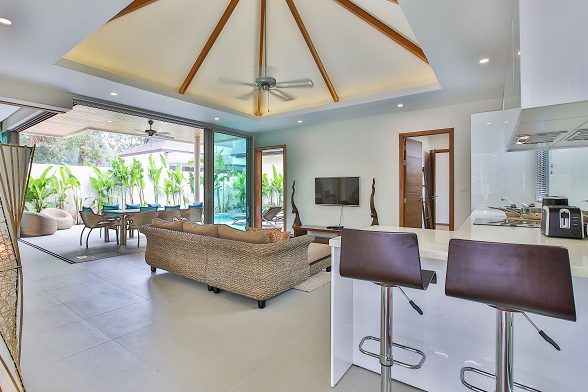 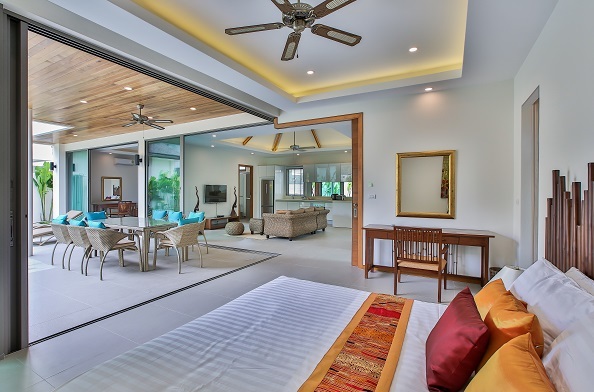 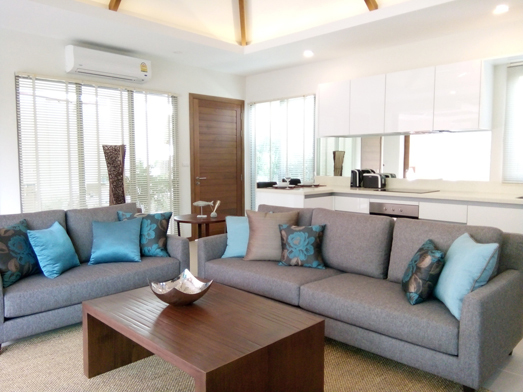 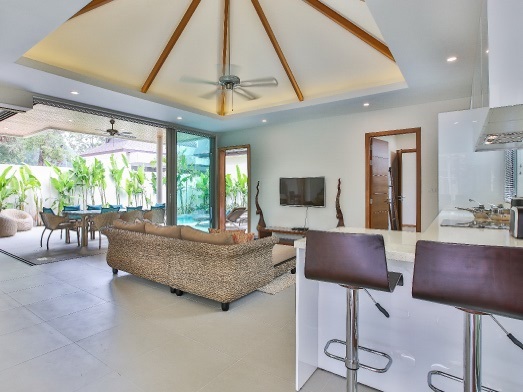 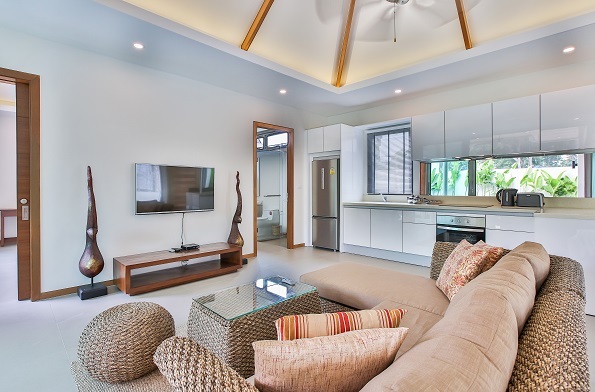 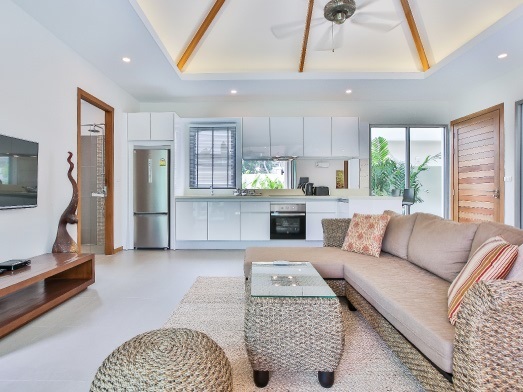 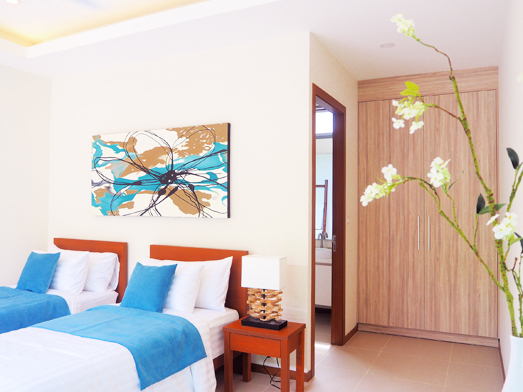 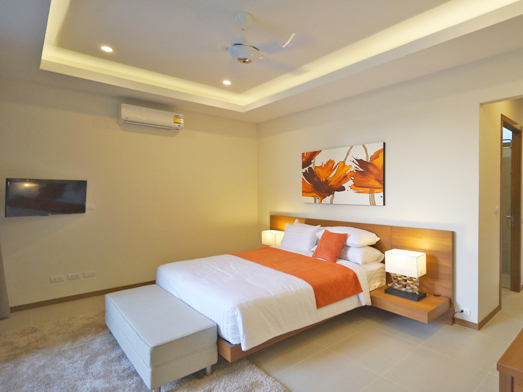 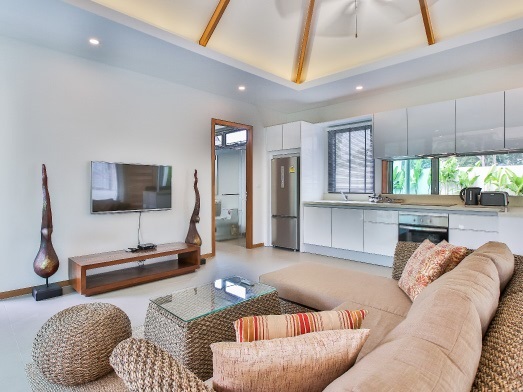 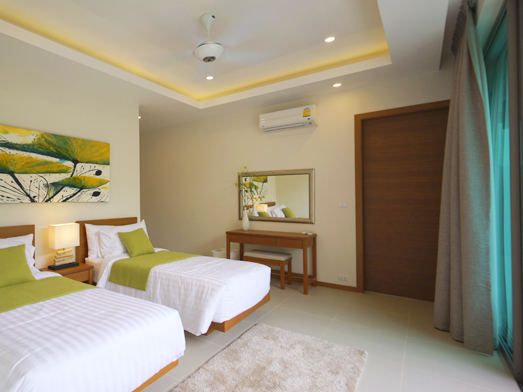 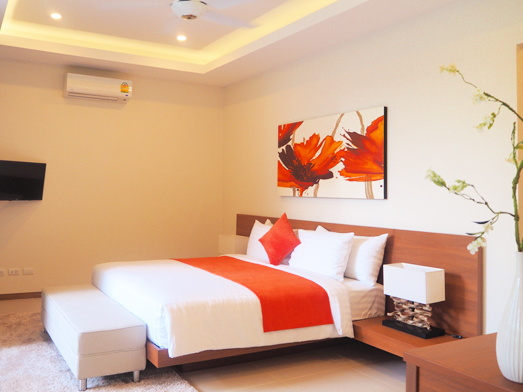 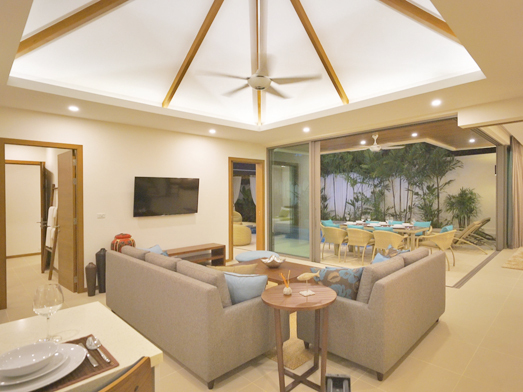 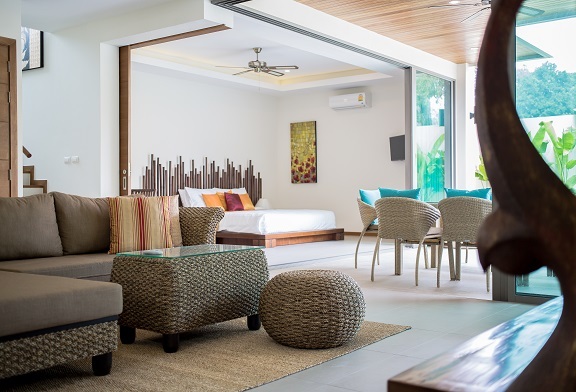 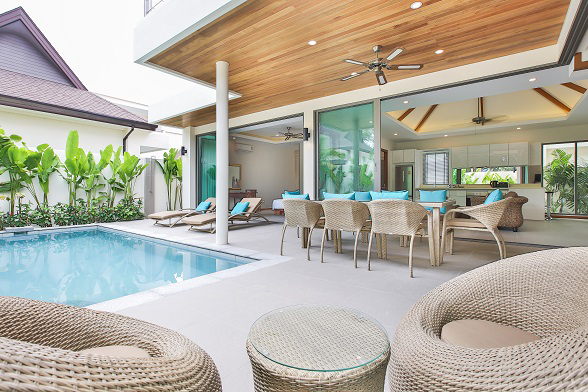 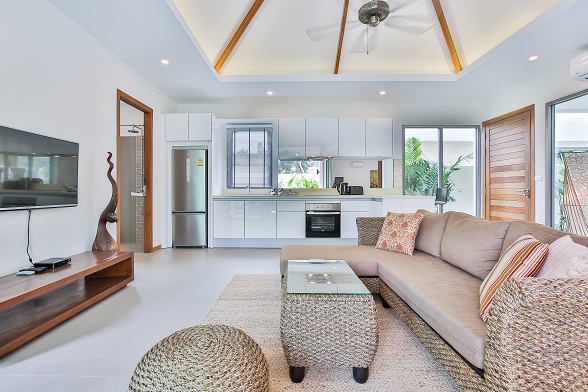 The large four bedroom premium pool villa is very spacious yet still very affordable, offering two bedrooms on the lower level and two on the upper level, all of which can comfortably accommodate a king size bed or two twin size beds and each with their own private Ensuite bathroom. 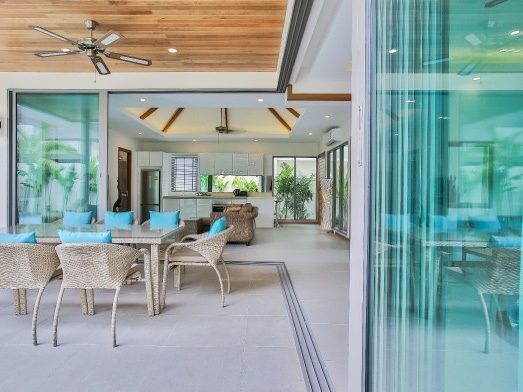 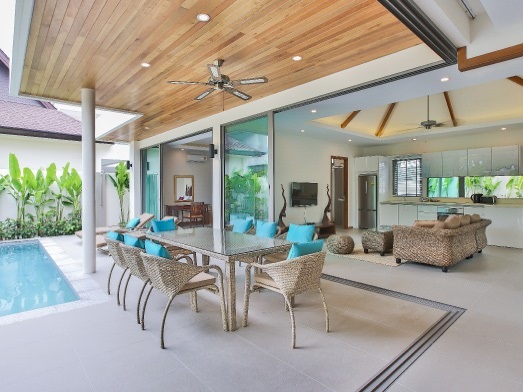 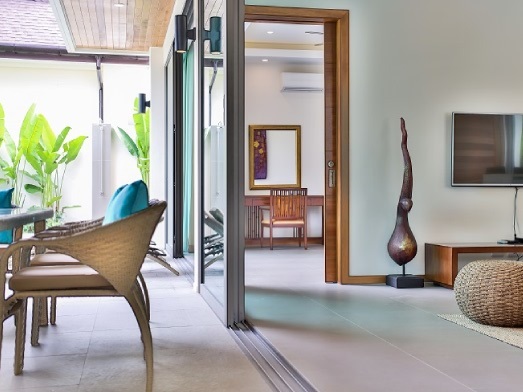 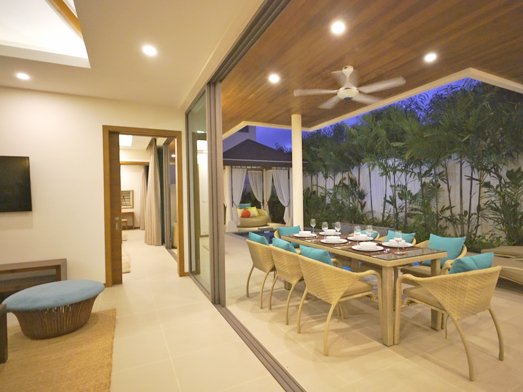 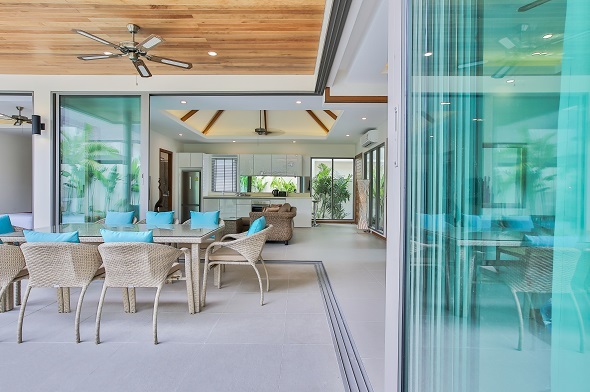 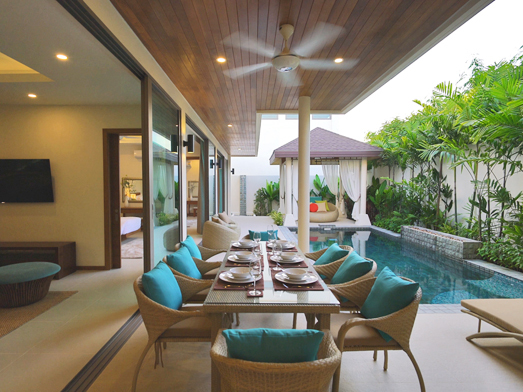 You still get the same open main floor living area that flows seamlessly with the outdoor covered dining area on the large terrace through wide opening ‘floor to ceiling’ sliding doors. 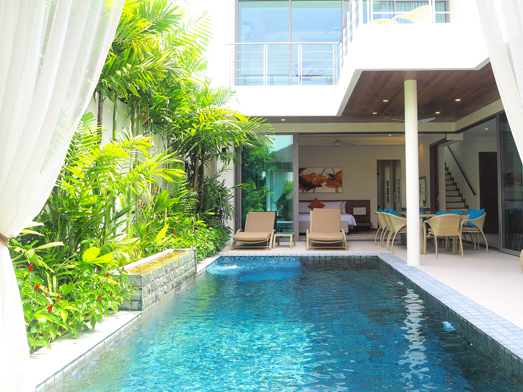 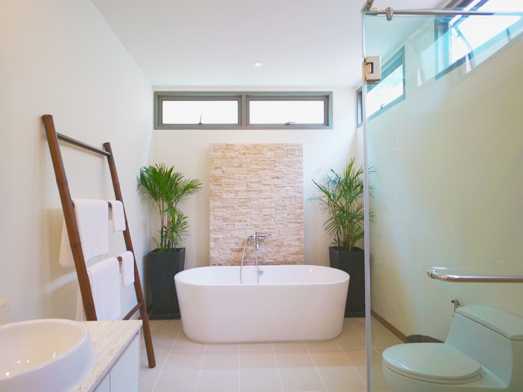 All the main floor rooms look directly to the inviting pool with Jacuzzi. 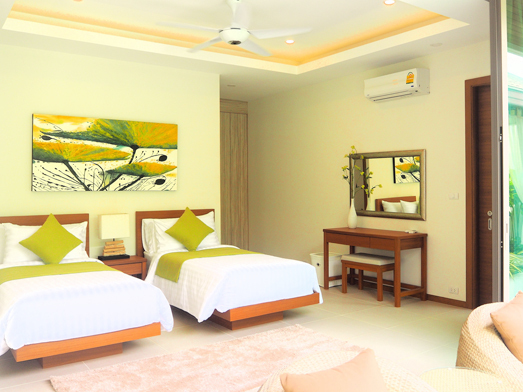 The oversize covered parking area in front of your villa has ample room for a car plus two motorbikes. 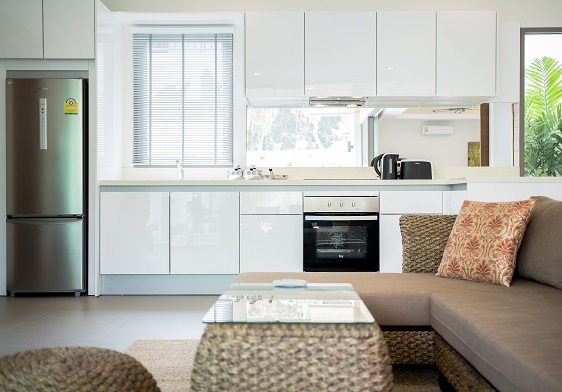 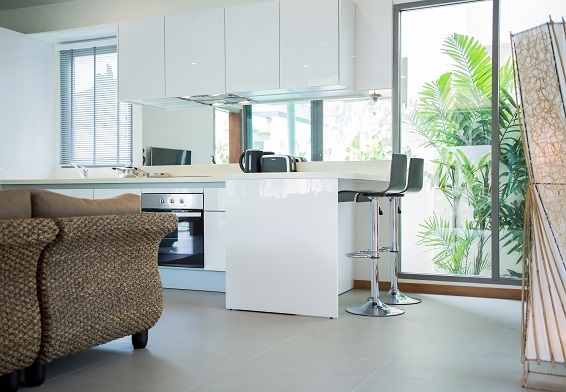 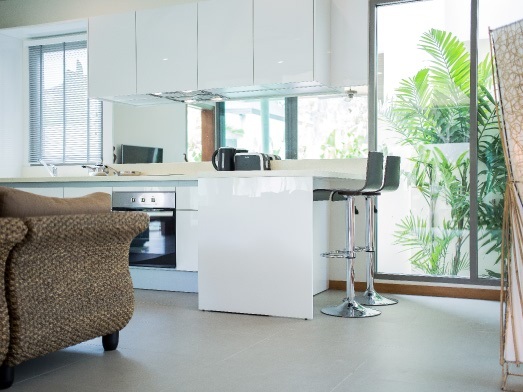 There is also a large storage area for your bicycle, surfboard and a laundry machine. 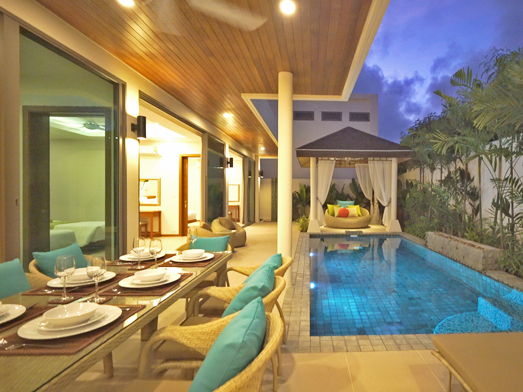 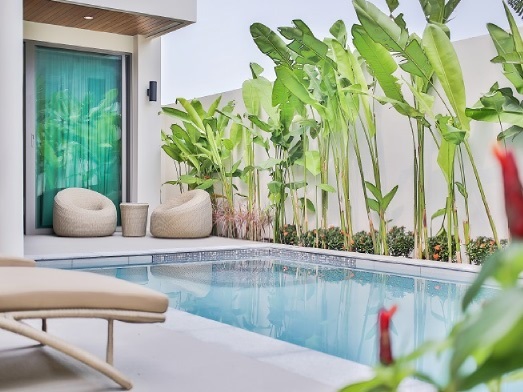 The villas come complete with lush tropical landscaping ensuring complete privacy around your pool while you enjoy a late evening dip.